25 years of messenger expertise bring you our updated Classic Messenger Bag. 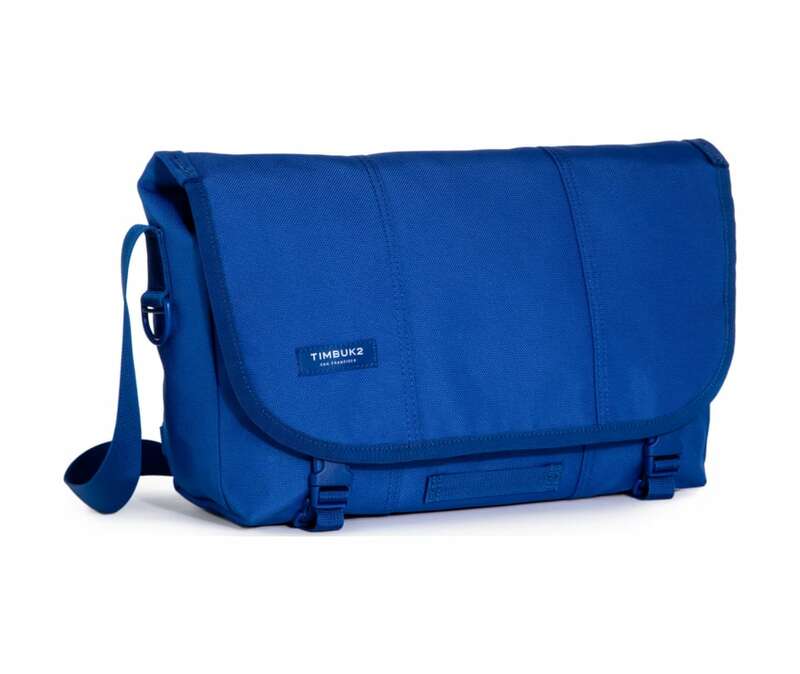 Designed in San Francisco with decades of user testing and consumer feedback in mind, our updated Classic Messenger features a new refined look, updated fit, and smarter organization. A new shoulder strap features a curved airmesh strap pad for increased comfort, finer webbing, and Timbuk2's new Double-Loop CAM buckle that adjusts quickly and eliminates dangling straps. A new low profile grab strap makes this messenger easier to grab and go and SR buckles are partially concealed behind the messenger flap for a more refined but just as secure closure. Inside, the waterproof TPU liner and corner wings keep water out, and the internal water bottle pocket keeps water in. Distributed internal pockets and organization balances the weight of your carry. It's a classic reborn and ready to be worn for another quarter century.